You don’t want to exhaust you hard-won retirement savings just to pay nursing home bills. Long –term care (LTC) insurance provides certainty that nursing home and home health care services will be available if you need them. As a bonus, Uncle Sam allows some healthy tax breaks- but only if you have a qualified policy. BUYING A QUALIFIED POLICY A qualified policy pays benefits to (or on behalf of) a person who is declared “chronically ill” by a licensed doctor. To be considered chronically ill, the patient must need help with at least two of these six daily activities: eating, using the toilet, bathing, dressing, continence and transferring (for example, moving from bed to chair). The patient must require long-term care for at least 90 days. Benefits kick in after a waiting period, usually 60 to 90 days. 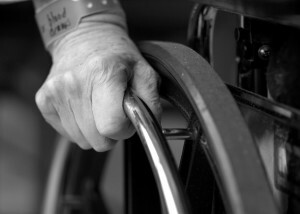 Most policies don’t provide equal benefits for nursing home care and home-care services. Most likely, it will pay only a percentage-often 60 percent-of the nursing home maximum for home care. You may be able to obtain equal benefits by paying a higher premium. You can also pay extra for automatic inflation adjustments to the benefit maximums (say 5 percent annually). Inflation protection is expensive but worth it. THE BEST AGE TO BUY Premiums are based on your age when you sign up the younger you are, the cheaper it is. As long as you keep paying, you remain covered regardless of changes to your health. Probably the best age to buy coverage is between 55 and 60. After that, premiums rise steeply. Also, if you wait to long and develop a serious medical condition, you’ll probably be unable to find coverage at any price. Qualified LTC policies are considered health insurance. This means benefit payments are tax-free to you, within limits. If you buy a nonqualified policy, the IRS may argue they are fully taxable. You can also treat premium costs for LTC coverage as an itemized medical expense and as an employee benefit if your business pays the premiums. $ 69,350 annually. These numbers are adjusted for inflation every year. If you have an employer-paid qualified LTC coverage through your job, the cost of coverage is generally a tax-free fringe benefit to you. However, if your premiums are paid via a Section 125 cafeteria benefit plan, they are considered an additional taxable salary. DEDUCT PREMIUMS-WITHIN LIMITS Because a qualified policy is considered health insurance, your premiums are considered medical expenses for itemized deduction purposes. However, you can only treat the age-based amounts listed below as medical expenses. You get to count premiums paid for coverage on you and your spouse. These age-based amounts are then combined with your other medical expenses. If the total exceeds 7.5 percent of your adjusted gross income (AGI), you can write off the excess as an itemized deduction on Schedule A. TAX BREAKS FOR C CORPORATIONS: What if you run your own business as a C Corporation? This is where the tax breaks get really juicy. You can provide company paid qualified LTC coverage as an employee benefit for selected employees, including you. The coverage is eligible for the same tax-advantaged treatment as garden-variety company-paid health insurance. This means you corporation can deduct 100 percent of the premiums. You, the covered employee, don’t have to report any taxable income from either the company-paid premiums or benefit payments that you receive. The same tax-advantaged deal applies to company-paid coverage for your spouse and parent or grandparent, if you pay over 50 percent of that persons support. Coverage need not be provided to other employees. There are no nondiscrimination rules for employer-provided long-term care insurance. A TRICK FOR SOLE PROPRIETORS: If you run your business as a sole proprietorship or single-member LLC, the tax-saving trick is to hire your spouse as a bona fide employee. Then have your proprietorship or LLC provide health insurance coverage-including long-term care insurance- as a fringe benefit to your employee-spouse. Your spouse can then elect family coverage to cover you and the other family members who you support. Under this arrangement, YOU CAN DEDUCT 100 PERCENT OF THE PREMIUMS ON YOUR SCHEDULE C. There’s no taxable income to the covered individuals. Once again, you aren’t required to extend coverage to any other employees. Make sure the value of the insurance is reasonable for the work performed. S CORPORATION TAX BREAKS: Finally, what if your business is run as an S corporation? In this, case you can have the company pay the premiums. On your 1040, you can then deduct 60 percent of the age-based amounts for the coverage on you, your spouse and other family members you support. The other 40 percent is a medical expense for itemized purposes.